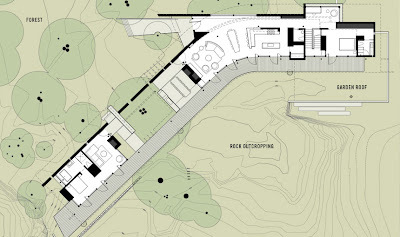 Named the 2011 Cooper-Hewitt’s National Design Awardee in Landscape Architecture, Gustafson Guthrie Nichol (GGN) is an international landscape architecture practice based in Seattle, Washington founded by Kathryn Gustafson, Jennifer Guthrie, and Shannon Nichol. 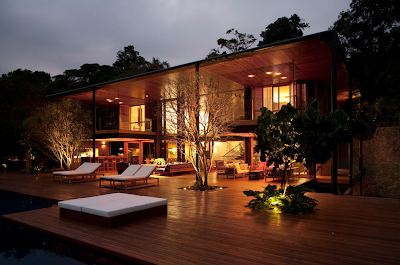 They have experience in designing landscapes that are widely varied in size, type and scale. 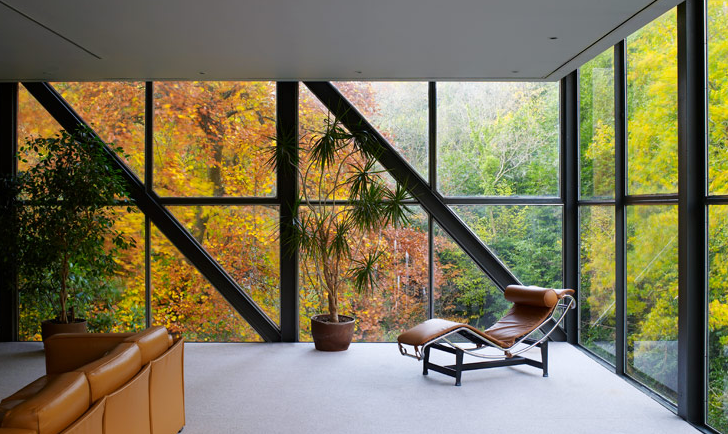 The carefully crafted spaces are typically born of its context and express the sculptural qualities of the landscape whilst that offer moments of contemplation in intimate and tranquil settings. 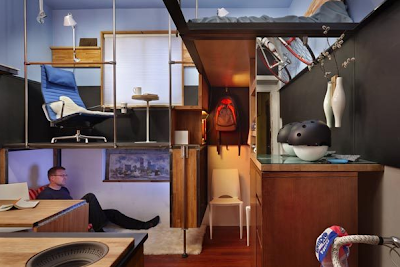 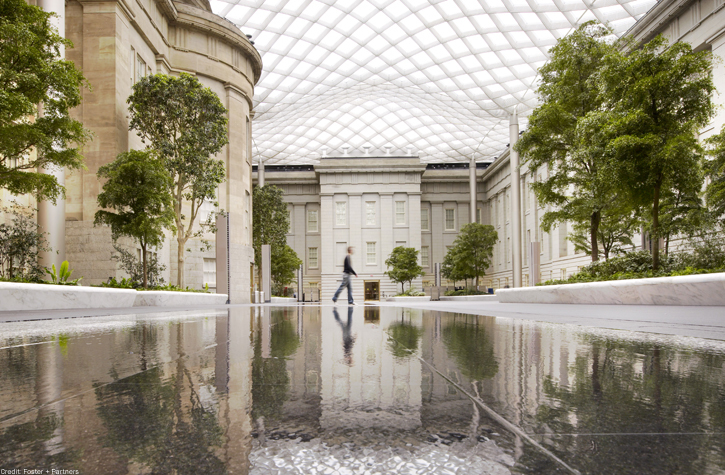 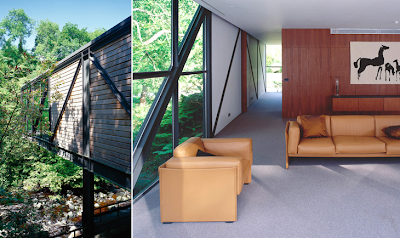 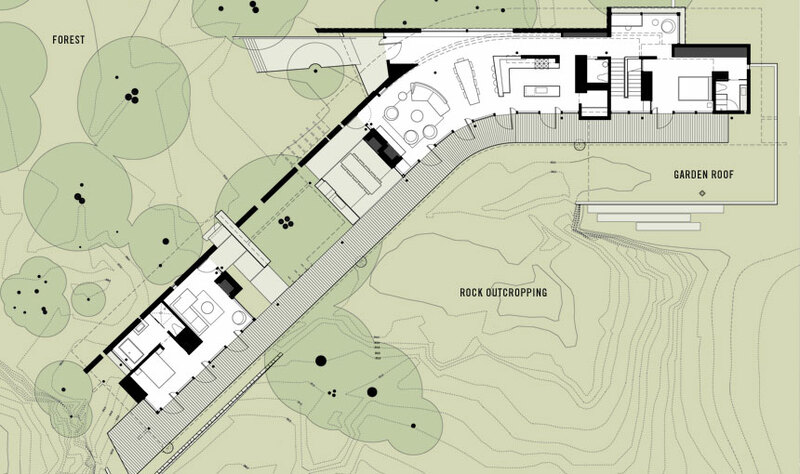 These spaces often reflect the professional backgrounds of the designers many trained in landscape, architecture, engineering, graphics, ecology, and other sciences. 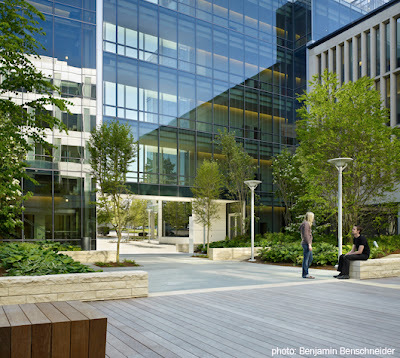 Recent project include the Lurie Garden of Millennium Park in Chicago, the Robert and Arlene Kogod Courtyard at the Smithsonian American Art Museum and National Portrait Gallery in Washington, DC, and the new Bill and Melinda Gates Foundation Campus in Seattle. 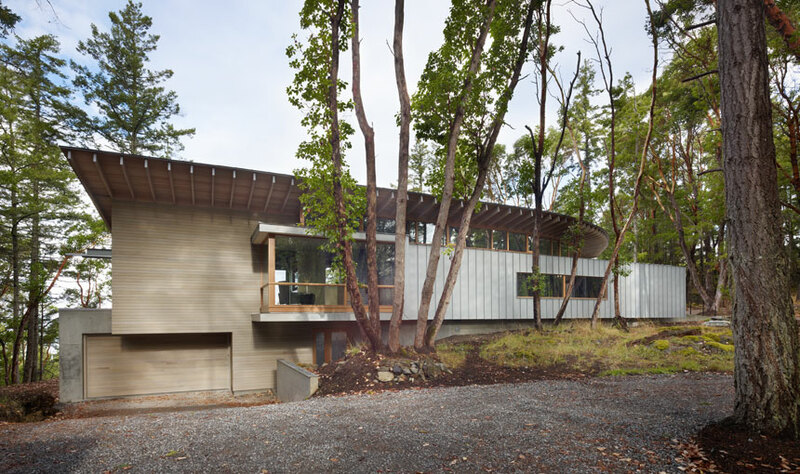 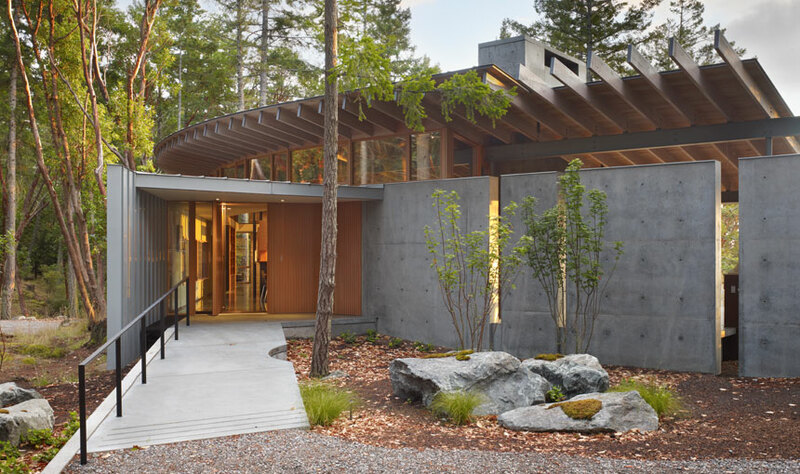 Suncrest is a 3,000 ft2 home designed by Heliotrope Architects located on a 26 acre site on San Juan Island one of a number of islands in the Salish Sea, a waterway straddling the US and Canadian border. The house is intimately connected to the landscape - curved, long and low in a way that both minimizes the impact and maximizes on the site by cradling the landscape and orient views, ultimately enriching the experience for the owners. As part of the Herman Miller Points of View (POV) series, this interview spotlights Kim Coleman from Cigolle X Coleman as she explains the use of materials in her design for the TR + 2 StudioHouse. Nathan Sawaya, a sculptor working with LEGO bricks, talks about how his work and its role as outsider art vs. art that belongs in established galleries on Ogilvy's Create or Else channel. 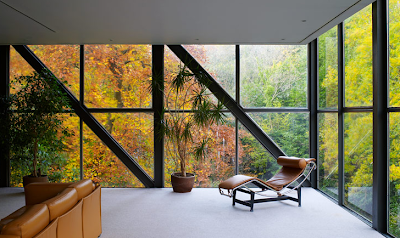 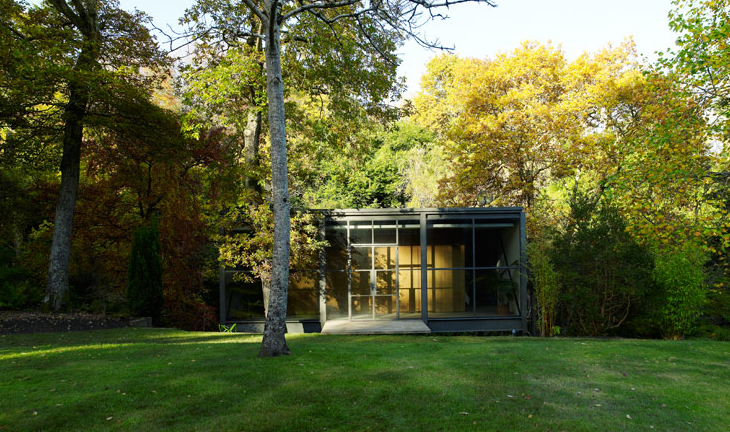 Originally designed by Scott Tallon Walker Architects for Sir Basil Goulding in 1971 - 1973 the summerhouse is located on a manicured garden site in Enniskerry, Ireland it was restored 2002. 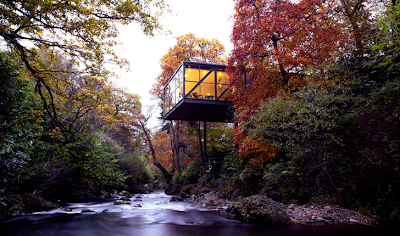 The modern residence is delicately perched on the banks of the Dargle Valley cantilevering the remainder of the 142m2 house over the river, minimally disturbing the natural vegetation. 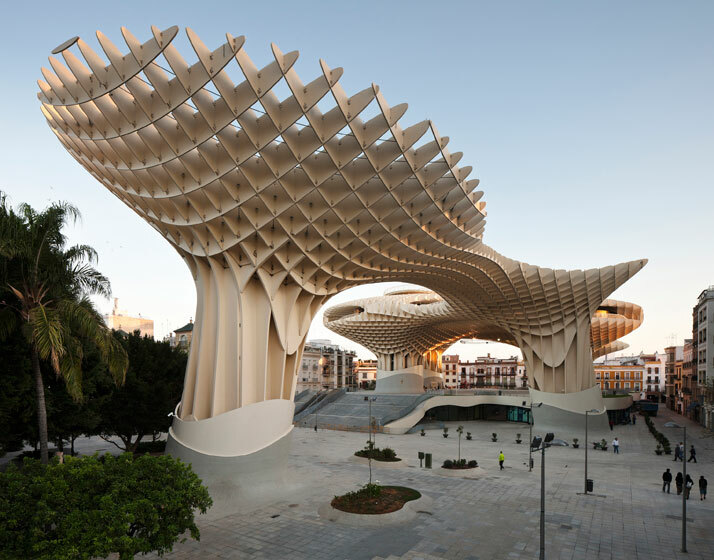 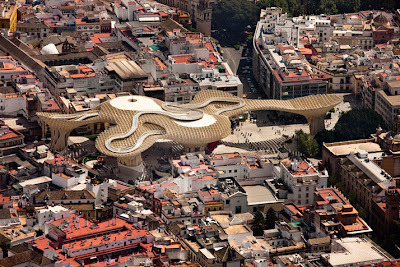 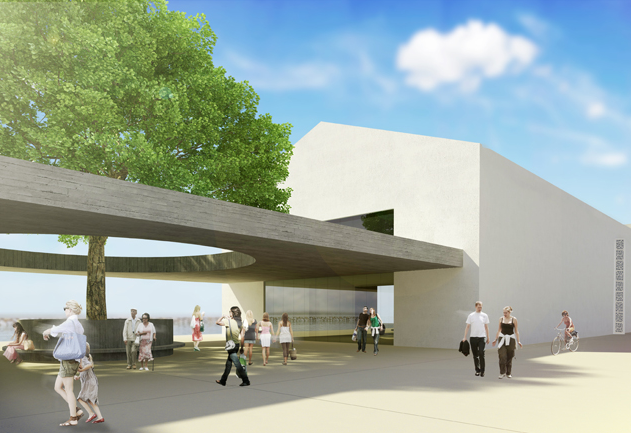 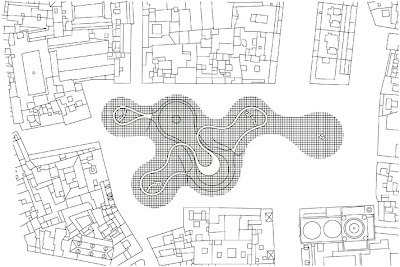 designed by architect J. Mayer H is part of the redevelopment of Plaza de la Encarnacion, Seville, Spain and contains an archeological site, a farmers market, an elevated plaza, multiple bars and restaurants spread over 12,500 m2. 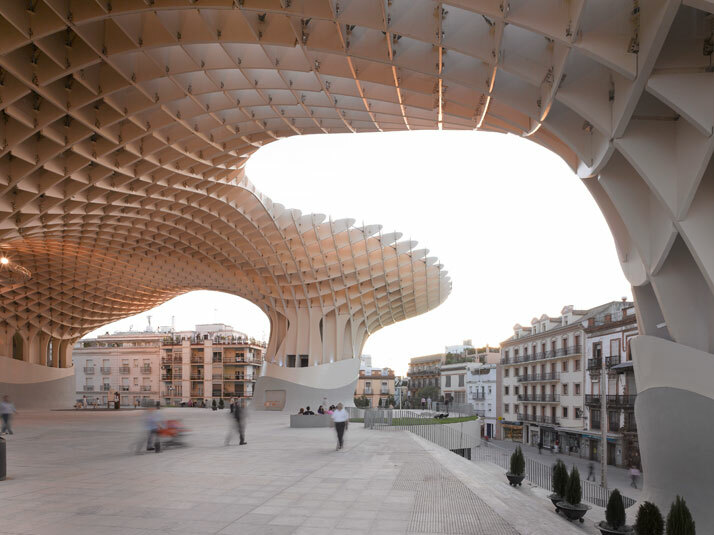 At 28.50 m high spread over 4 floors the Metropol Parasol becomes a unique attraction for Seville and at €90 Million building is now considered to be the largest timber structure. 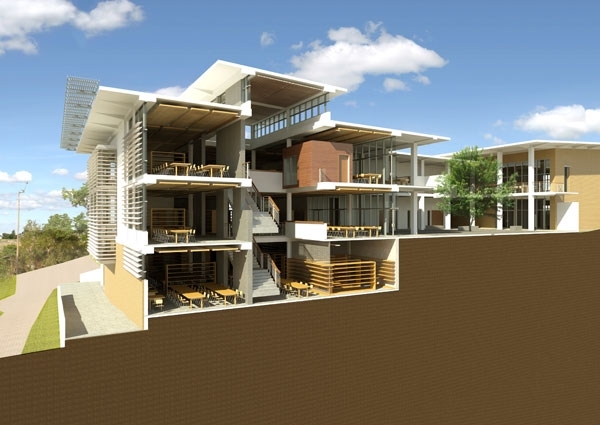 Architects have a large responsibility to design sustainable solutions for the built environment that are responsive to the social, economic and environmental needs of the local context and people. 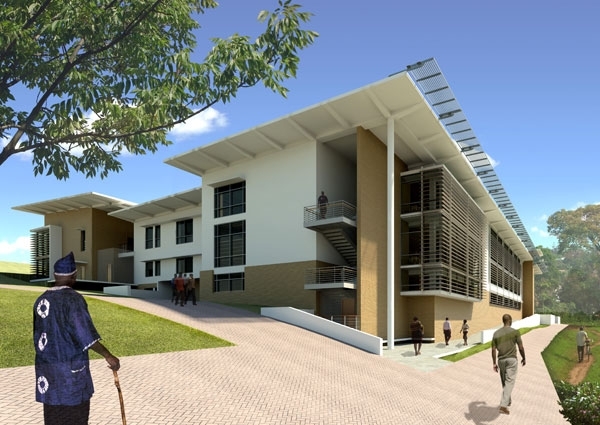 Buildings form a large part of the built environment and are large consumers of energy to facilitate the trade of goods and services. 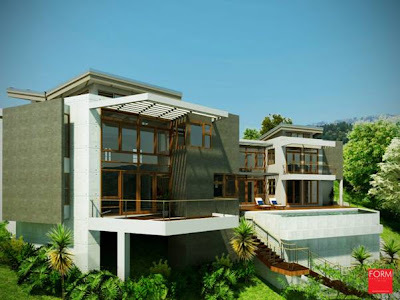 It is therefore important that we construct and design solutions that help to lower energy and maintenance costs while increasing the efficiency of the functions they are conceived to serve. AWR is inviting students from around the world to take part in a competition for graduate theses on sustainable architecture and design innovation. 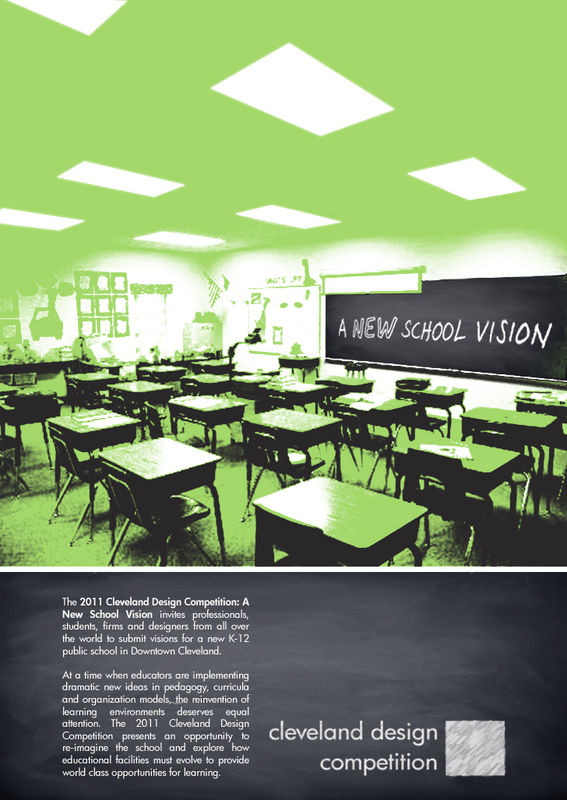 The goal of the competition is to increase and promote sustainability culture and green architecture. Participation is open to all graduates of architecture and engineering faculties, from all over the world. 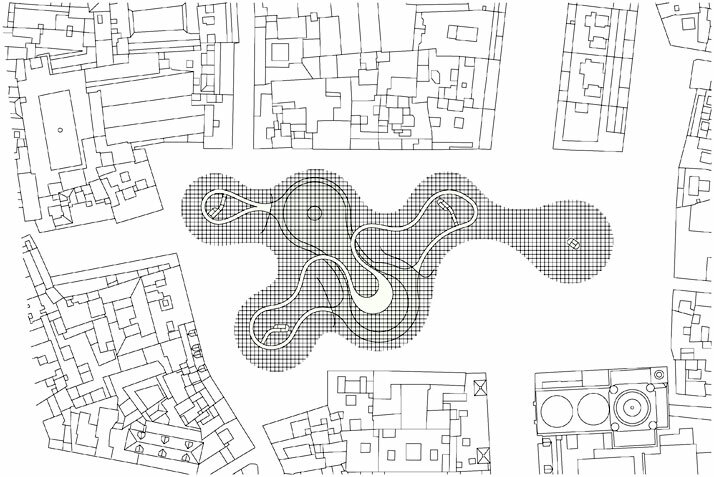 The theses, whether individual or group work, must have been defended between January 1, 2009 and October 31, 2011. 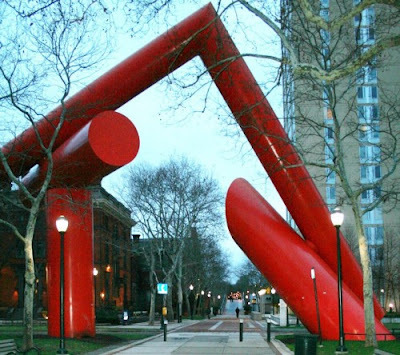 Celebrated architect, artist and cultural icon Jackson Burnside passed away on the 11th May 2011 at the age of 62. 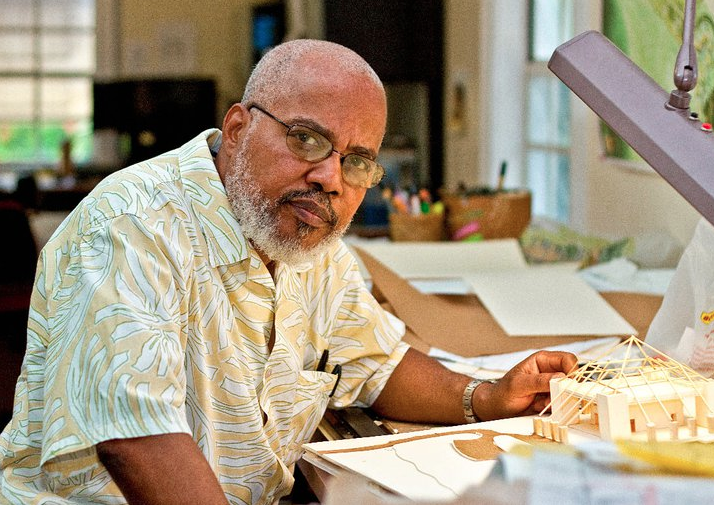 A staunch advocate of Bahamian and Caribbean expression in both the arts and architecture, his professional career was self-defined as "a rambling through the culture of the Bahamas, connecting diverse disciplines and integrating intuition with common knowledge." 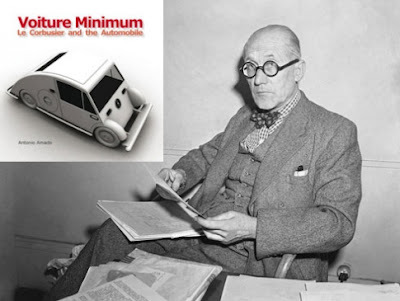 Jackson Burnside was the recipient of numerous national and regional honours and awards, and acted in an advisorial role at the Caribbean School of Architecture - the only one in the English speaking Caribbean. 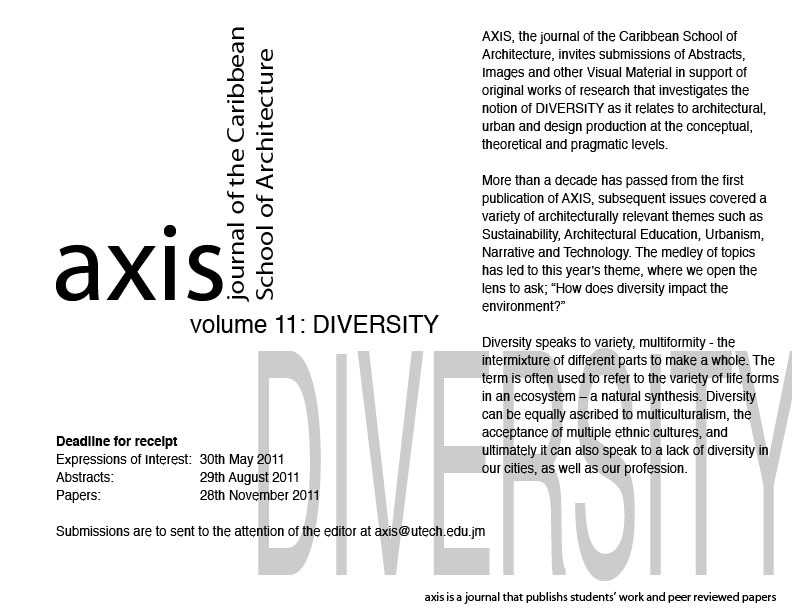 He is most remembered by students and professionals alike as an advocate for Caribbean architectural heritage, for it's common sense in teaching appropriateness of material, climatic conditions and structure in developing design in synthesis with nature. 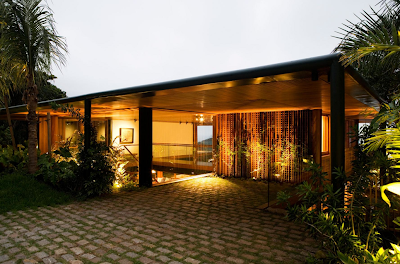 Museu Luiz Gonzaga designed by architects Francisco Fanucci and Marcelo Carvalho Ferraz Brasil Arquitetura is one of 6 museums to be built throughout the country housing the written and musical collections of Luiz Gonzaga. 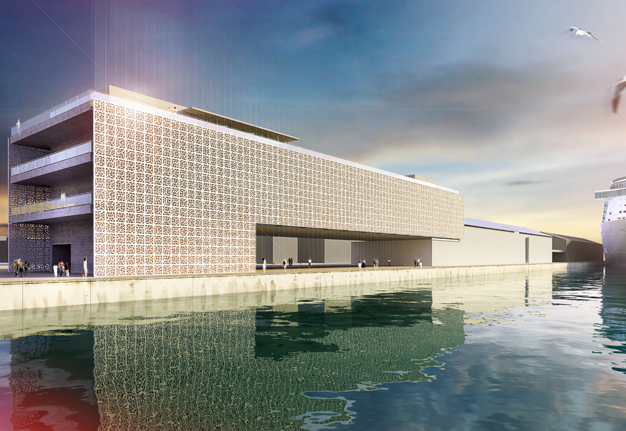 The 7000 m² new building extends from to an existing old shed along the dockside affording views to the waterfront. 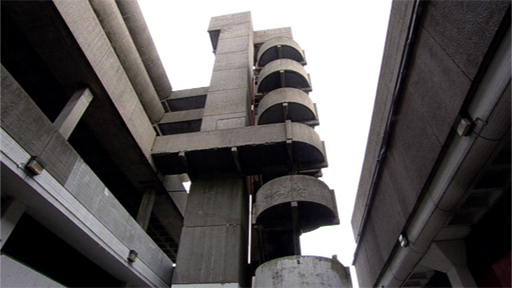 The slender profile of the building is raised to allow the ground floor to engage the piazza defined by the tower Malakoff. 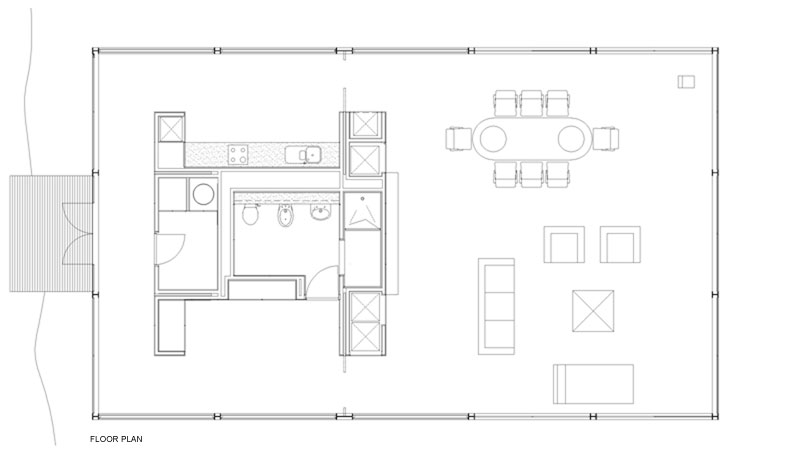 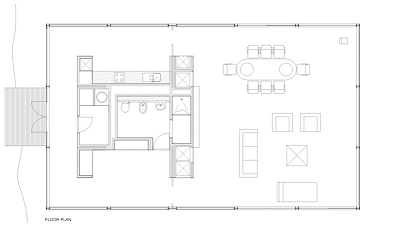 The 1,300m2 vacation home in Sao Paulo, Brazil was designed by architects Bernardes + Jacobsen. 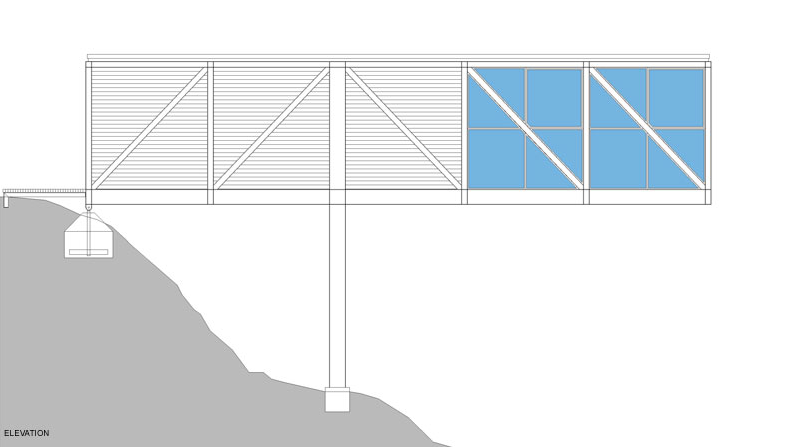 The entry to the house has a discrete façade, that is low, horizontal and un-obstrusive from street level. Composed as a pavilion with a double height canopy supported by columns, bedrooms sit overhead public programmes all toward spectacular views of the sea of the Guarujá. 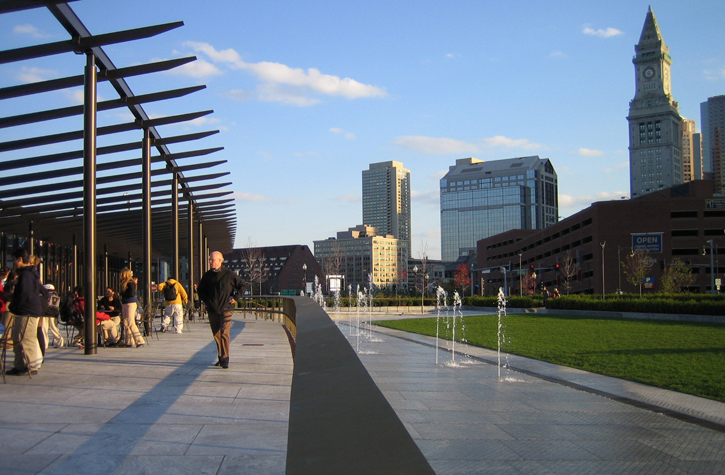 James Howard Kunstler believes public spaces should be inspired centres of civic life and the physical manifestation of the common good. 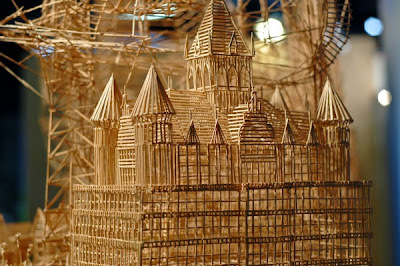 However, he argues, what exists in America are places not worth caring about, ugly everyday environments where entropy is made visible. Netherlands based architecture practice MVRDV have recently been awarded first place in the competition to design the Comic and Animation Museum in Hangzhou, China. 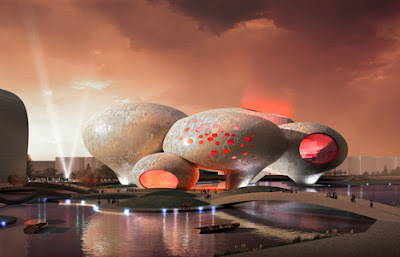 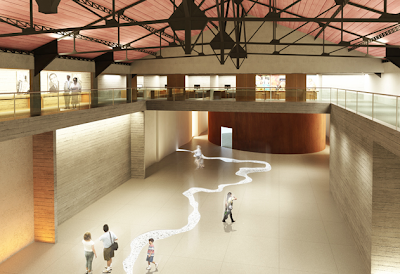 The design is defined by eight giant balloon-shaped forms that house the varying functions of the museum. The purpose of the Abel Building Solutions Caribbean Construction Awards is to both recognise the merit of our regional industry and encourage the pursuit of excellence. The CCA, celebrates the players in the construction industry whose work shows true excellence in design and construction. Architecture is an act of love, not a stage set. 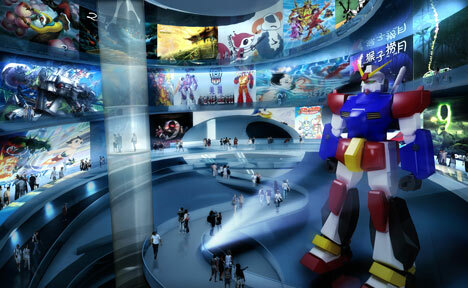 It is the power of invention, of creation which allows man to give the best that is in him to bring joy to others. 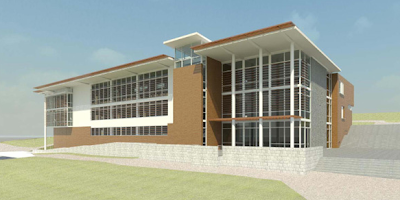 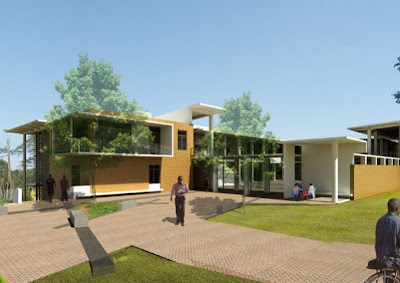 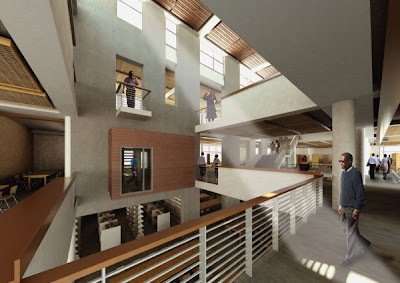 The Hamu Mukasa Library in Mukono, Uganda designed by architects Perkins & Will, is a part of new urban master plan for the Uganda Christian University designed by multi-national AE firm FBW.